Sam Nseir is an Autodesk Building Information Modeling Premium Support Specialist who supports the Architecture, Engineering, and Construction and Engineering, Natural resources, and Infrastructure industries. As part of our efforts to help Autodesk BIM customers leverage Forge capabilities, Sam developed some examples of BIM 360 data with PowerBI. BIM 360 products enable project teams to coordinate better, communicate more effectively, and resolve issues more quickly, resulting in faster and more efficient project delivery. As cloud-based software, BIM 360 products are designed with data at the center. Data analytics is part of the standard functionalities that are offered by BIM 360 products such as the analytics tab in BIM 360 Account Administration or the Project Overview tab in BIM 360 Field. With different teams having different use of the data, the in-product analytics might not answer all of the needs. Custom analytics could enable teams to drill down to specific details and identify correlations that would not have been possible otherwise. 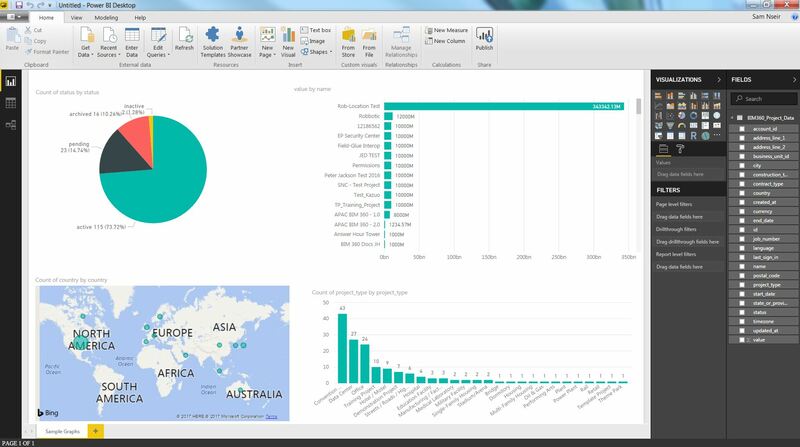 These days, one of the commonly used tools for custom analytics is "PowerBI." 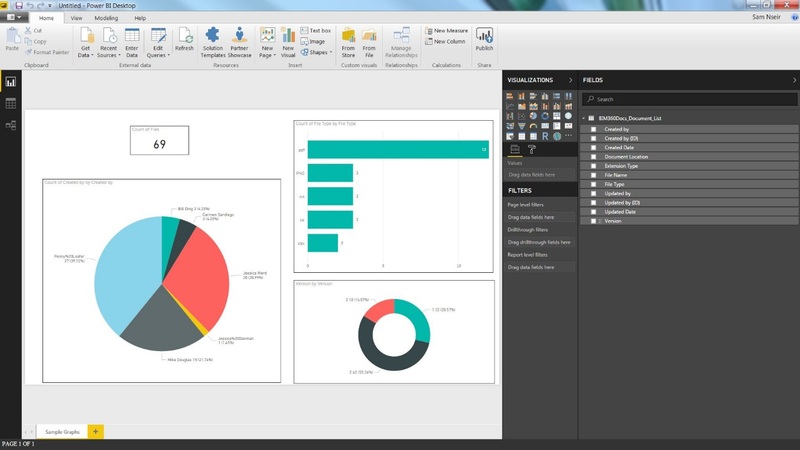 Power BI is a data analytics product from Microsoft that allows users to create reports and dashboards powered by interactive visualizations to analyze data. 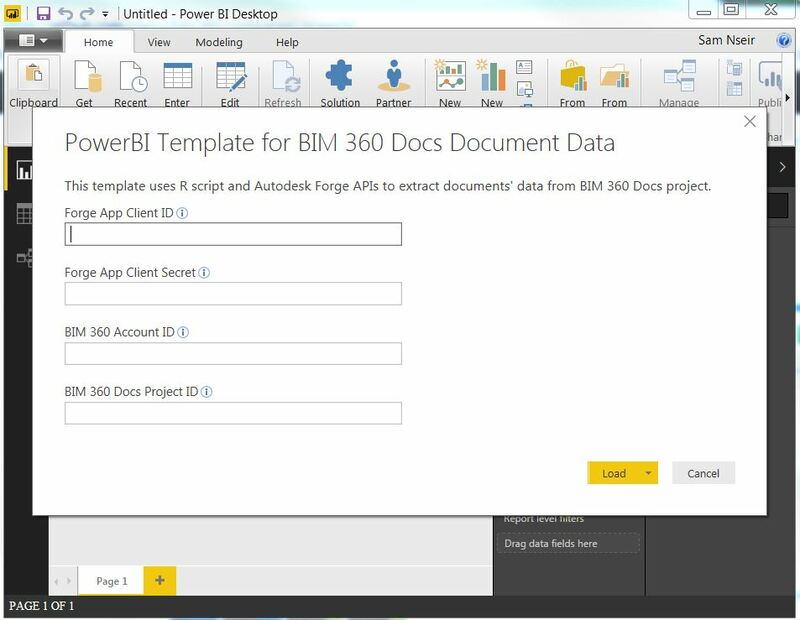 The question here is how do we integrate BIM 360 data with PowerBI? 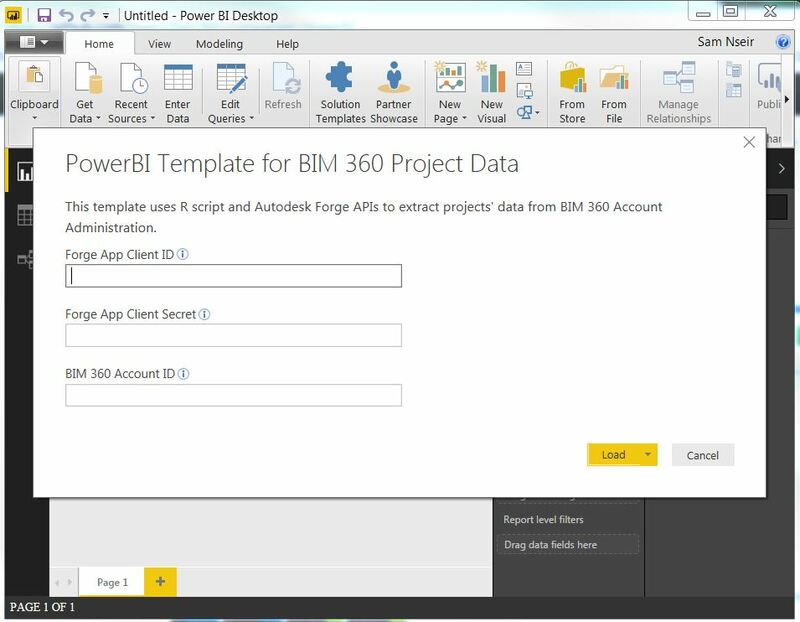 The examples below are sample custom analytics that can be performed by integrating BIM 360 data with Power BI using R programming. 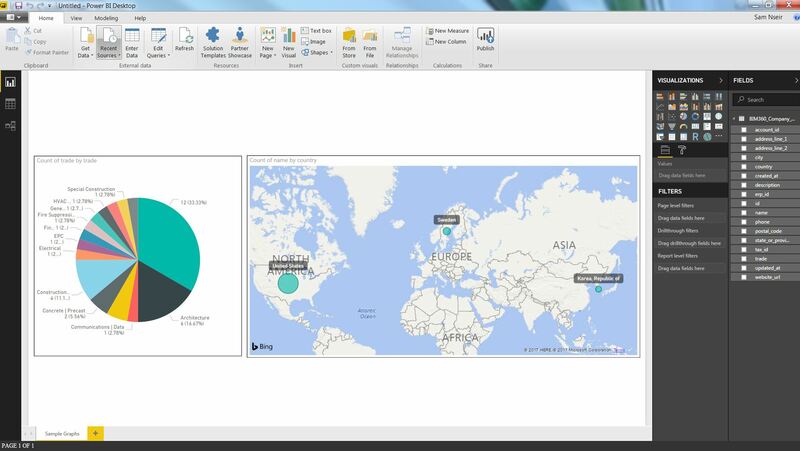 Each example is provided with a Power BI template to test the integration, setup instructions, a GitHub repository to access the R script. The template in this example offers the ability to analyze documents’ attributes from a project in BIM 360 Docs. This type of analysis could help the project team in the document control process such as monitoring file types, naming convention, and file versioning for documents hosted on a BIM 360 Docs project. The template in this example allows us to examine profiles’ data projects from BIM 360 Account Administration. This type of data can be useful if integrated with data from maintenance and operation systems. It also can help in drilling down to details about projects such as locations, types, and values. The template in this example provides us with an insight into companies’ data from BIM 360 Account Administration. Companies’ information such as location and trade could be beneficial if mapped with data from enterprise resource planning systems (ERP). Examples are alive in the lab.